I love long weekends. This last one was great. We spent some time by the lake. It was really hot, but there was a nice breeze coming off the water. So I made this card with a Beachy feel. I saw that Stampin' For the Weekend talks about a great website called Post Pals where you can send a card to a sick child. 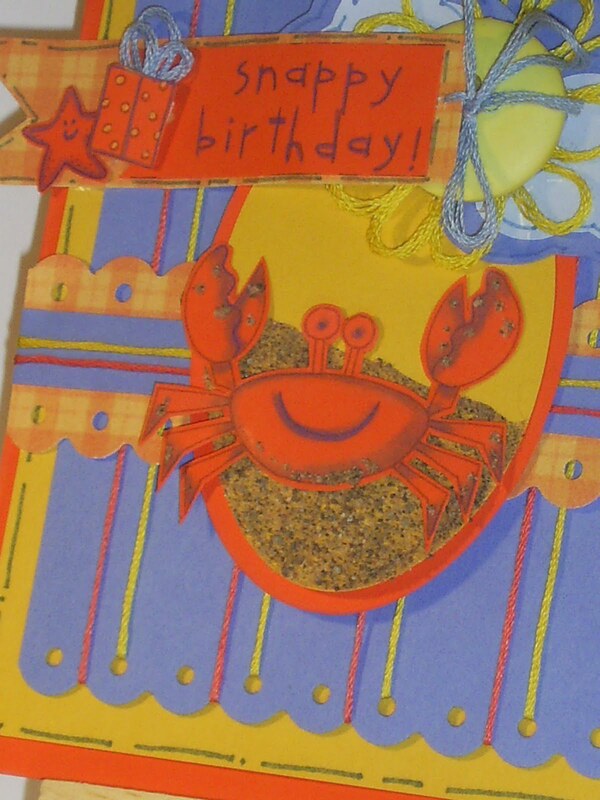 I think it's a great idea, especially for us crafters who always look for a reason to make a card. My card is for a girl named Panna. She lives in Bangeledash. She is not a part of Post Pals though, she is my World Vision sponsered child. I first started sponsering her 6 years ago, when I had my daughter. She will be 10 yrs old next month. Stampin' for the Weekend "make someone smile". 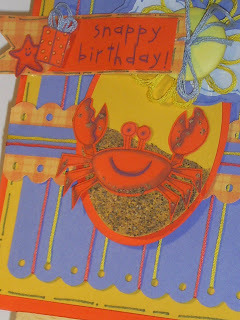 Stamptacular Sunday wants a BEACH theme. Cupcake Craft has a summery theme. Thanks so much for joining in the SFTW challenge and good luck! Oh, the picture of the kids is adorable, but what a great card to send to your little sponsor child! It's so nice and bright and sure to bring a smile to everyone! Thanks for joining us this week at SSC for "Life is a Beach" challenge! 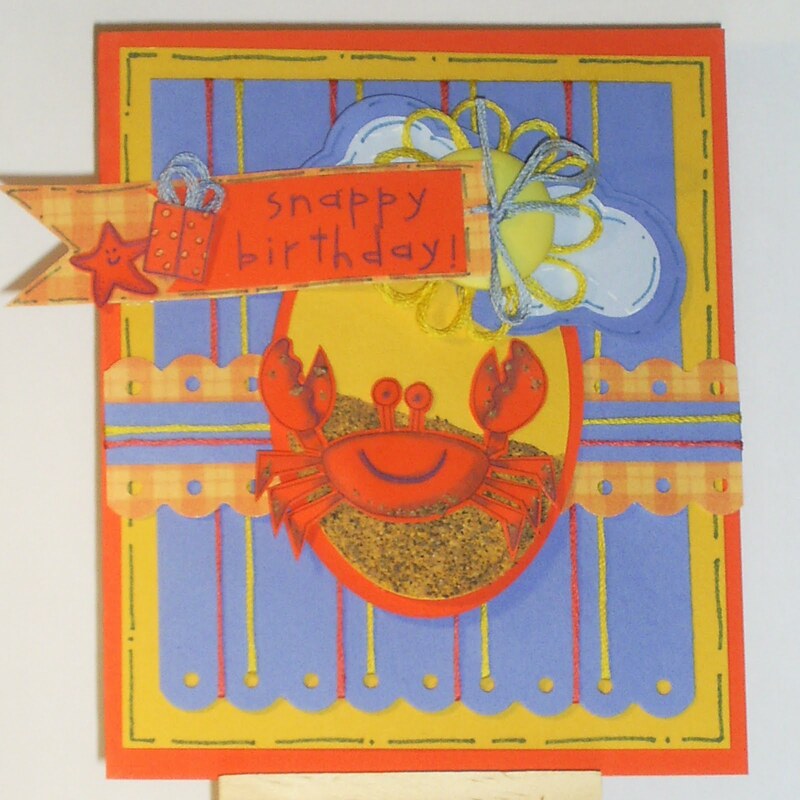 What a bright summery card! your World Vision child will love it Im sure! what a wonderful thing. 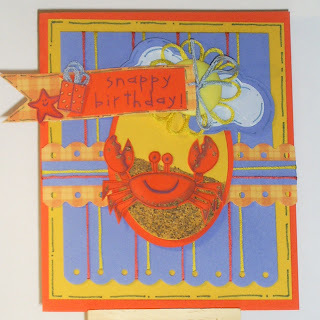 Thanks for joining our Beachy challenge this week at Stamptacular! I bet she'll be thrilled, it's a lovely card. I'm so glad you joined the SFTW challenge this time and good luck. Cute! The colours are fab! Thanks for joining in our birthday challenge and my PBC. Gorgeous work, it has a lovely summery feel. Thanks for joining us at CCC. What a cute card! Just love this little crab! Thanks so much for joining us this week at Stamptacular Sunday! ♥ Good luck on our "Life's A Beach" challenge!